I live in one of the most stable and well‐​functioning countries in the world. I pursue a PhD in space physics and certainly don’t lack for access to knowledge, academic or otherwise. I am incredibly privileged. Additionally, too many people are stuck in dangerous mindsets born out of misconceptions and ignorance. Vaccine skepticism and climate skepticism are just two relevant examples. Knowledge is the only way to fight ignorance, and the more freely available knowledge is, the better chance people have of discovering that knowledge. I want knowledge to be freely accessible to all. I support the very principle that knowledge is something to be freely shared. And Wikipedia’s overarching principle is just that – to make all human knowledge freely available and accessible to all. However, running one of the most visited websites in the world is certainly not free (though they spend much less than other comparable sites). That’s why I, finally, have come to my senses and now support Wikipedia with a monthly donation. I’m in no way telling you this so you can think better of me. The amount I’m currently donating is embarrassingly measly anyway. I’m telling you this to realize that free access to vast amounts of knowledge is most certainly worth a cup of coffee or two a month. 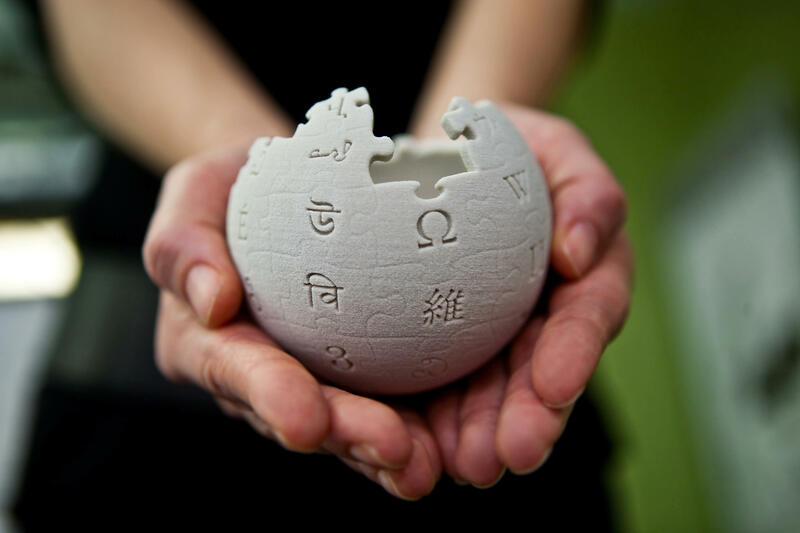 I hereby challenge you to donate to Wikimedia Foundation, who run Wikipedia and is dependent on donations to keep Wikipedia running. And more importantly, I challenge you to spread the word. Whether you share this post or write similar sentiments yourself is of no importance to me. Knowledge is power. Giving all the people of the world free access to knowledge – not just to read, but to use and adapt and redistribute – is one of the most democratic things we can do. That’s why I support Wikipedia, and that’s why you should too. Cover image by Lane Hartwell, licensed under Creative Commons Attribution‐​Share Alike 3.0 Unported.